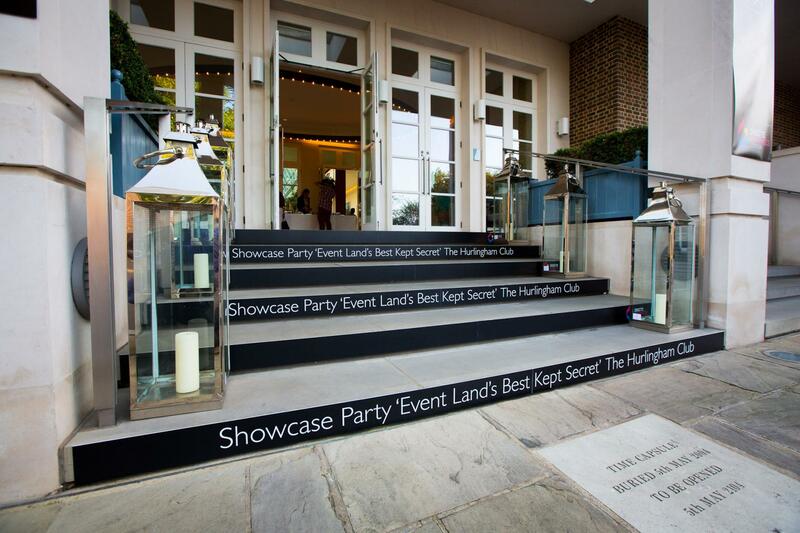 The Hurlingham Club with its impeccably high standards and dedicated Events Team is an ideal place to entertain clients. 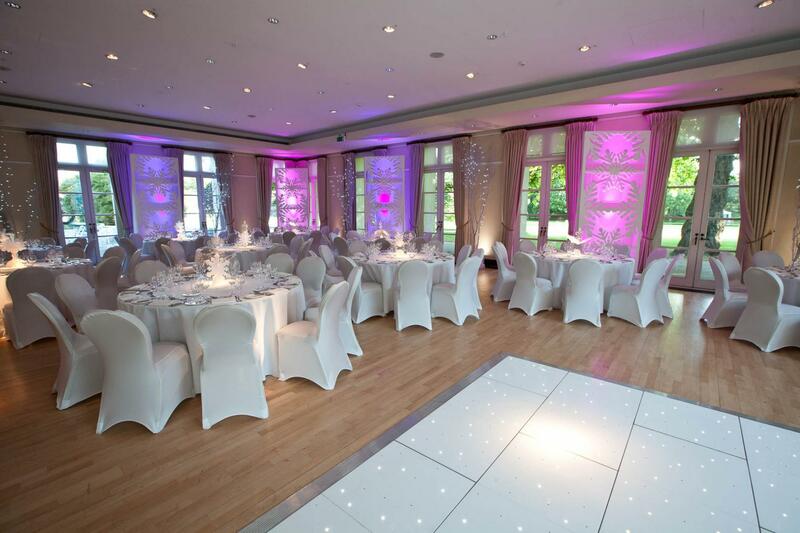 It would be our pleasure to stage your event within the Club’s magnificent grounds spanning 42 acres on the banks of the River Thames. 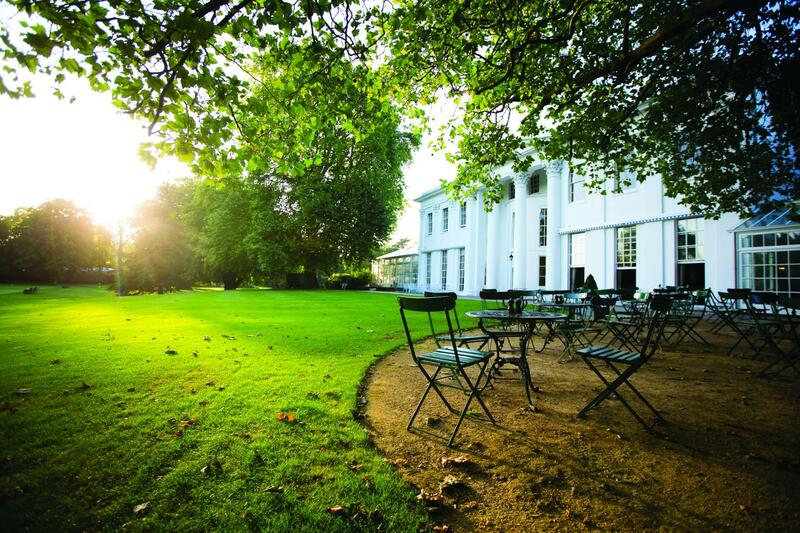 Located surprisingly close to London, guests can enjoy the exceptional wealth of greenery and grandeur that makes the Club a hidden gem. It is five minutes walk from Putney Bridge tube station. Fully adaptable space for events from 10 to 1200 guests. 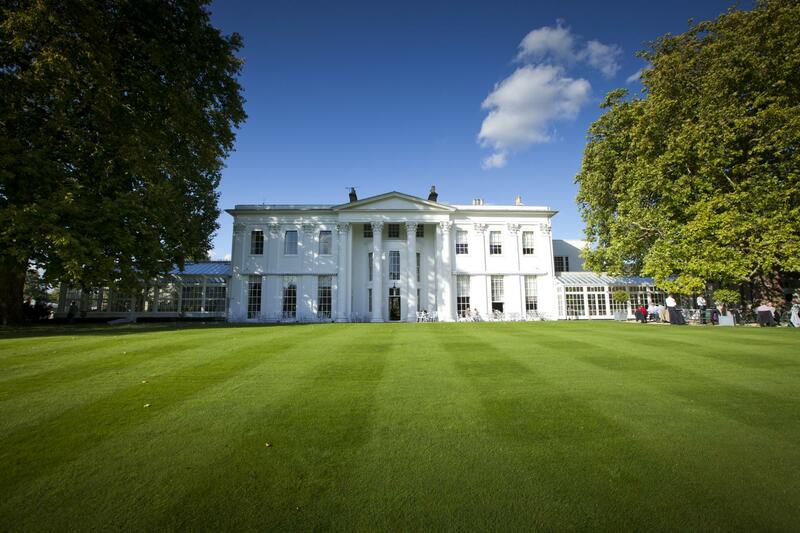 A distinguished, lofty area with glazed windows running the entire length of the south façade, The Hurlingham Suite looks out on the green lawns of Hurlingham and the River Thames. 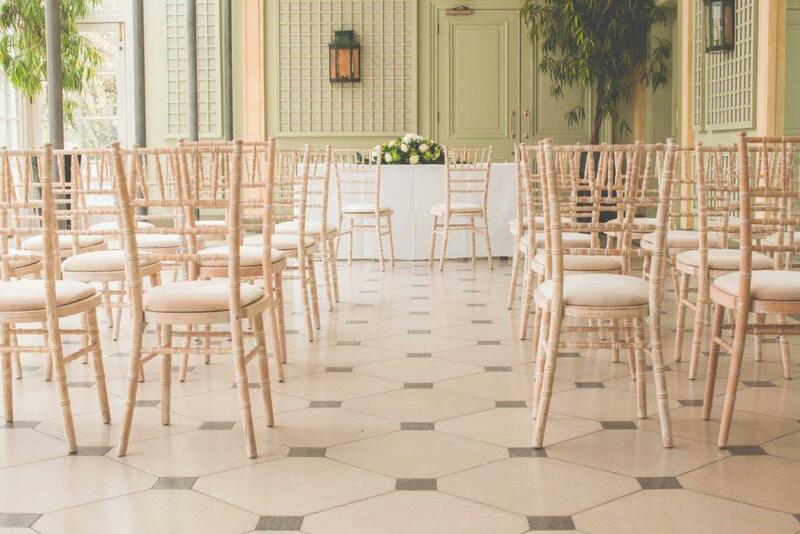 Guests enter via the columned entrance, on the Four in Hand Yard, into the elegant, long glazed Palm Court and Orangery. 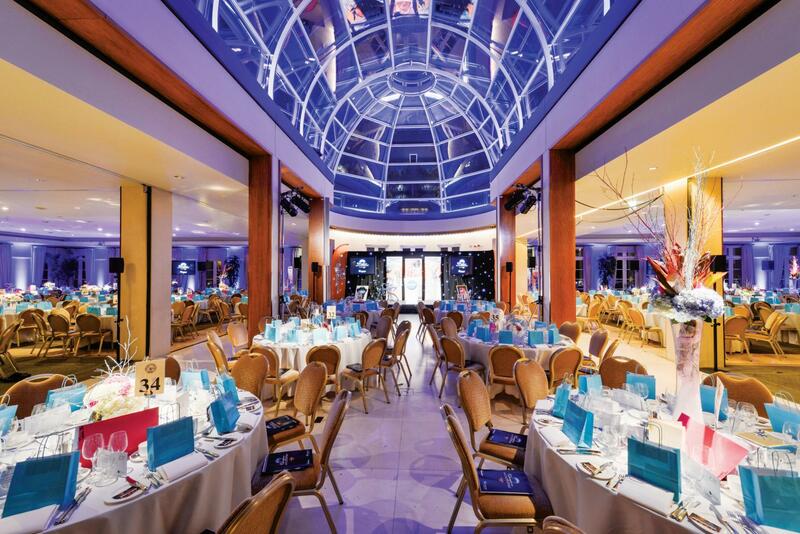 From here, the suite of function rooms provides a myriad of adaptable venues that lend themselves to any occasion. 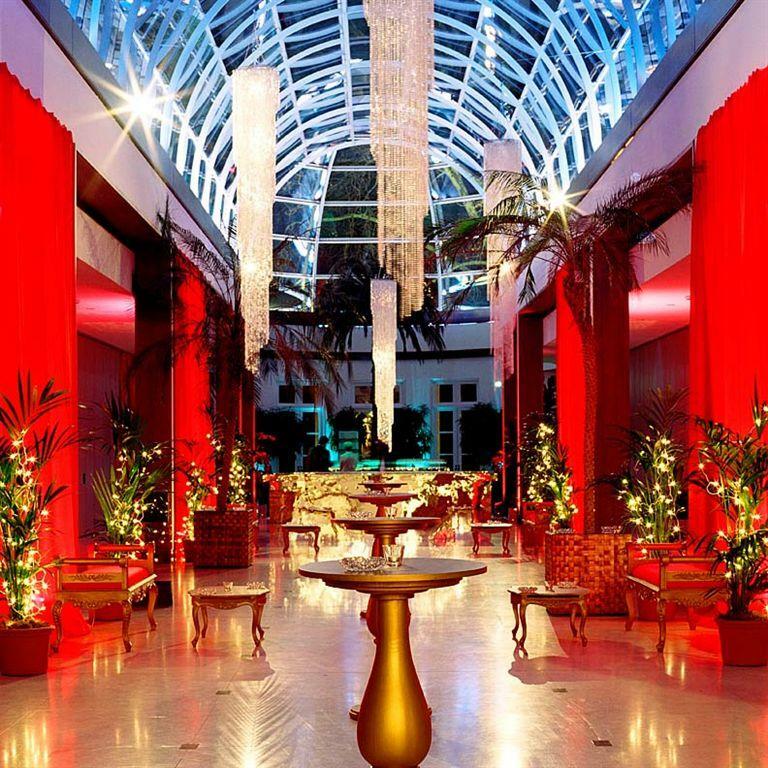 The stunning Palm Court and Orangery makes a wonderful area for a pre-dinner reception. The Broomhouse Room and the Ranelagh Room may be hired individually, or the facilities of both may be joined together as the Broomhouse Suite with seating for up to 400 diners. The Terrace room is ideally suited to smaller functions, as it can accommodate a dinner or lunch for up to 60 people. 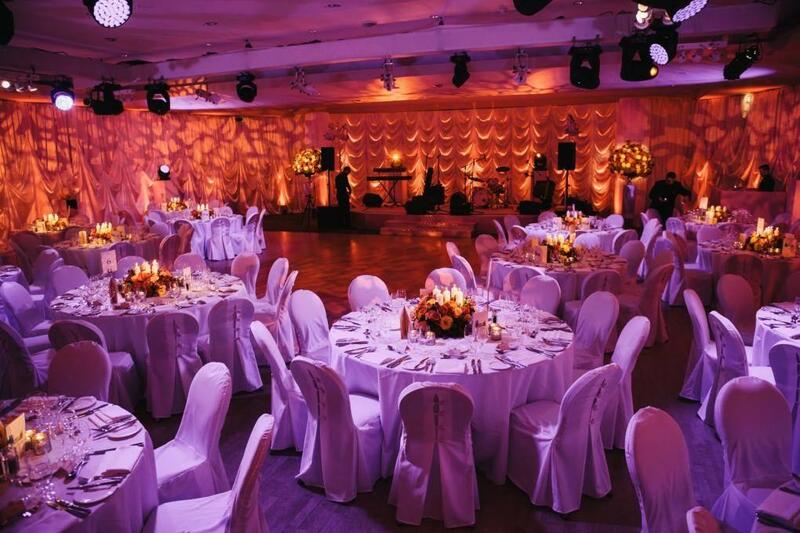 It has also proved a firm favourite for cocktail parties and similar receptions of up to 100 guests. 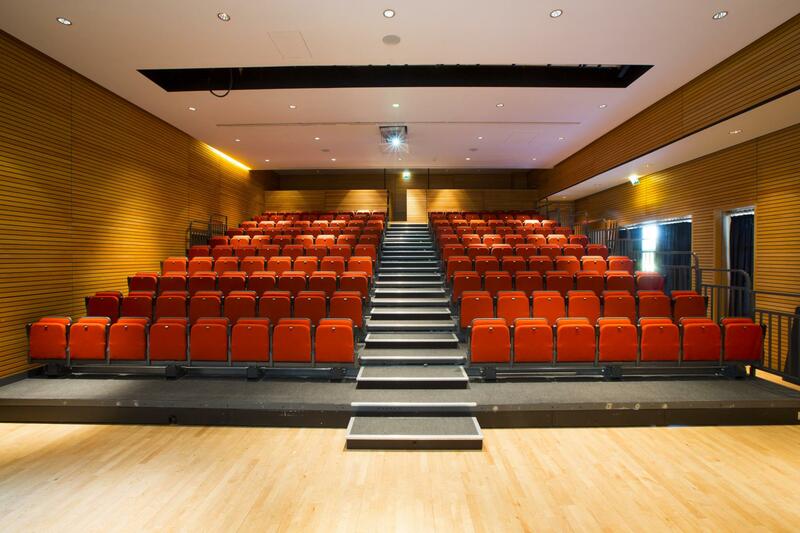 This purpose built theatre boasts state of the art audio-visual and lighting capabilities. The auditorium benefits from tiered seating, to ensure perfect views of the extensive stage, and provides the perfect arena for any matter of presentation. Furthermore, the tiered seating can be readily rolled back to create a level and open space, suitable for a variety of functions. The Quadrangle Room is linked by double doors to the adjoining Terrace Room, an ideal location for a breakout room or discrete refreshment area. Adjoining Napier Room can be also seamlessly opened out into the Quadrangle Room. Altogether, 3 rooms are forming a Quadrangle Suite. This striking space has south facing, floor to ceiling windows running the length of the room, framing the magnificent Hurlingham gardens and lawns that stretch to the Thames embankment. In the summer, with the doors thrown open onto the terrace, it would be hard to find more magnificent and distinguished surroundings. The Quadrangle is linked by double doors to the adjoining Terrace Room, an ideal location for a breakout room or discrete refreshment area. The venue is absolutely amazing, exactly what we always dreamed of. Harriet from the event coordination team was a star, and made sure that everything was just perfect for our day. 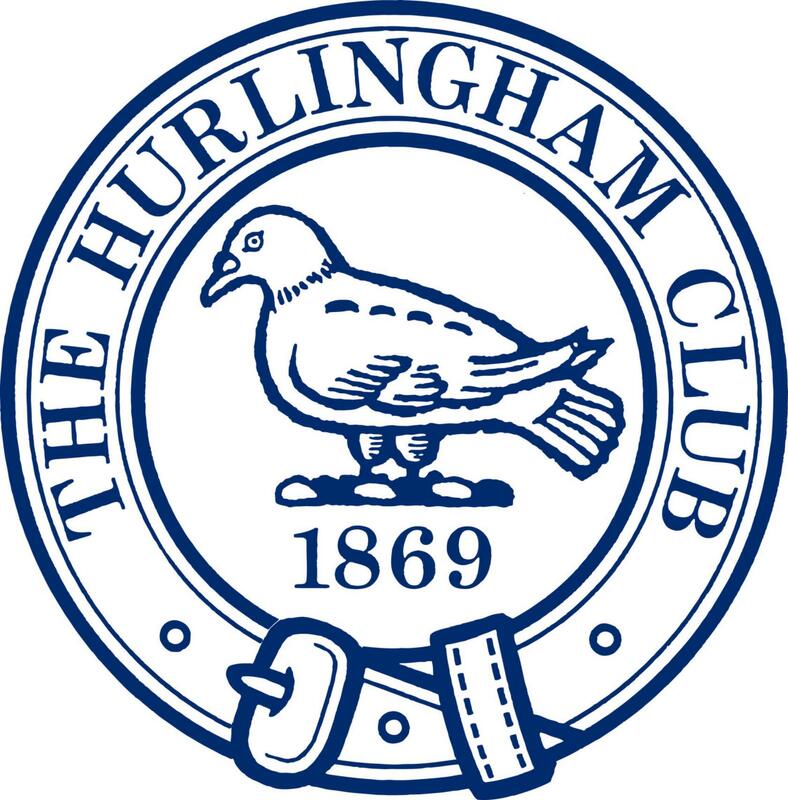 Our guests and we all had a fantastic event at Hurlingham Club, and have already recommended it to several friends for their events! Nothing in particular. 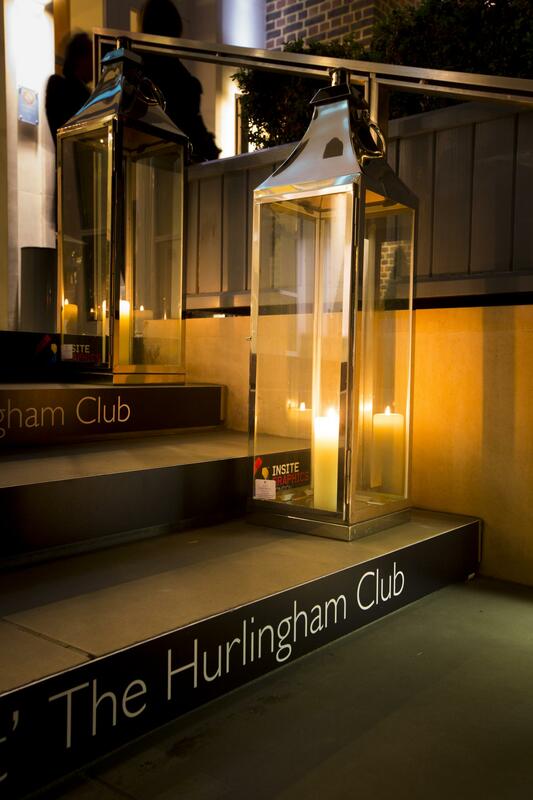 The Hurlingham is more expensive than other venues we looked at, but was absolutely worth it.